"Success doesn't mean the absence of failures... it means the attainment of ultimate objectives. It means winning the war, not every battle. Winning is an event; Being a winner is a spirit"
After finishing M.Sc in Chemistry in the year 1963 and working for about 3 years in a renowned industrial group and contributing successfully to be building up of an industrial complex from grass root level, Dr. Ashok K. Chauhan left for Germany in 1966. He pursued in the then West Germany his higher studies in the field of Chemical Engineering and Plastic Technology and after that he worked as the Head of the Research and Development Department of the renowned European Group Daetwyler. In West Germany at that time he was the only one such highly placed person in the corporate world from Asia. As Chairman and CEO of AKC Group of Companies, he built the industrial commercial empire allover the world beginning from Germany. He attained the status of most successful NRI of Continental Europe. In the year 1992 Dr. Chauhan was awarded the honour of Man of the Year in a glittering ceremony in London. He is known with various names, the Man with Midas Touch, the Barter King, and the people who know him closely describe him as an entrepreneur, an educationist, a philanthropist, a doctor, a priest, a psychiatrist and a humble person-all in one. In past decades, Dr. Chauhan was the NRI Member of the four Committees set up respectively by the Prime Minister, by the Finance Minister, by the Commerce Ministry and by the Chief Minister of U.P. He was also conferred the honour through President Zail Singh as the NRI who has contributed maximum in providing technology inputs in India. 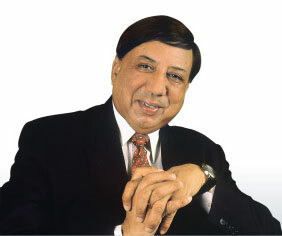 During the unification of both parts of Germany, Dr. Chauhan was honoured in 1993 by the German Government as the Biggest Non-German Investor in the then East Germany. He acquired eight big factories with a work force of 6,000 Germans. Dozens of prizes and awards nationally and internationally have been bestowed upon Dr. Chauhan. He is the Founder President of Ritnand Balved Education Foundation. It is because of his unparalleled vision that Amity Educational Institutions from secondary to tertiary and professional level, have reached the top position within a short span of time. He is, in true sense, an "Institution Builder" nurturing the institution with unique character. At present there are 5 Amity Universities in India – NOIDA, Lucknow, Jaipur, Gurgaon, and Gwalior. He is the Chancellor of Gurukul Mahavidyalaya, Jwalapur. He was conferred upon the honour of International Man of the Year 1997-98 in recognition of his services to Education by the International Biographical Centre of Cambridge, England. It is only because of his firm belief that the Indian possesses the virtues, qualities and personal traits which are without a match in the world and because of his strong conviction that India can be aroused to its fulsome power, glory and potential from its present situation, that he untiringly engages himself in promotion of education, notwithstanding his worldwide hectic engagements. Recently, Bar Council of India during its Golden Jubilee Celebrations felicitated Founder President with ‘Plaque of Honour’ for his immense contribution in enriching the law fraternity of the country through Amity Law School. He has also been conferred with “Life Time Contribution in Edupreneurship Award” by Engineering Watch Magazine for his leading role in transforming Engineering education in the country. It is my firm conviction that there are, in the contemporary world, challenges, socio-economic and political, which, if the legal system cannot meet them, will destroy it. These challenges are not the creation of lawyers; nor can they be suppressed by them. They have to be met either by discarding or by adjusting our legal system. I believe that our legal education should address the contemporary challenges effectively so as to adjust to the systemic needs. It is this quest, by way of excellence that I seek to achieve in the filed of legal education. In any given society, the law pays a vital role in regulating the affairs of the state including those of the corporate and business management. The integration of law in the field of economics and business management was not rightly realized till the dawn of economic liberalization in the beginning of 90s. Of late, some thoughts have been given to improve the standard of legal education and its integration with the requirements of economic and corporate world. We at the Amity Law School (ALS) seek to make it a model by improving upon the various suggestions from experts with regard to the blending of the law with the need of the corporate and business sectors. In our country, we have immense talent among the youth and all that is required is to guide and bring out the best in them. The Institutes of the Ritnand Balved Education Foundation endeavour to realize the potential of the young talent. The paramount thrust is to create an international academic bridge by blending the advanced knowledge and modern teaching tools of the West with the rich traditional values, culture and heritage of the East. The aim can be achieved only with the support and guidance of all those whose help the Amity Law School team has been seeking and would be seeking. I welcome all those who are going to share the feeling of satisfaction with the success of the Amity Law School and thank all those who have extended and would continue to extend their valued support in achieving our mission. 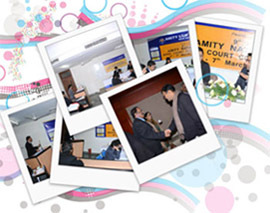 Amity Law School, Delhi (ALSD) has sought a place of prominence and earned a reputation within the legal fraternity. The Institution has been established by Founder President Dr. Ashok K. Chauhan to provide excellence in Legal Education and to produce Quality Lawyers. ALS, Delhi has provided a platform to the students where they can share best of ideas, information and knowledge. It provides an academically conducive environment that helps them to identify the leadership qualities in them. ALS has created a climate where academic excellence, leadership abilities and qualities evolve altogether along with value education, love and respect for the traditions and culture. Any Law school growing under this ideology and the legal education based on such foundation is bound to impact the futures ahead. To create future lawyers and legal leadership it is critical to seek a connection between law and factual situations. It is essential to create awareness of rules, regulations and relevant procedure and also imperative to involve values, ethics and professional etiquettes into the students. The lab based exercises and clinical programmes designed to seek an essential base on the foundation of a sound conceptual and theoretical matrix of legal knowledge has created a helpful linkage to make them critical, analytical and solution oriented. We train them in a way so that they in turn respond to the professional opportunities as natural seekers. 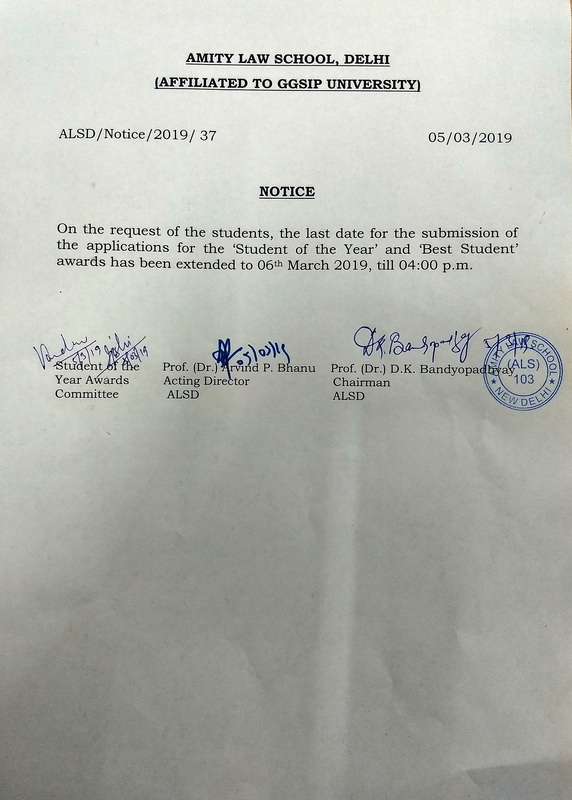 ALS, Delhi has been consistently ranked as one of the top ranking Law schools of the country under various surveys conducted by Outlook, India Today and The Week every year. Our students have created their own niche in the realms of international activities like International Moot Court Competitions at the Stetson University College of Law, the Philip C. Jessup Moot Court Competition, the Willem C. Vienna International Commercial Arbitration Competition, Frankfurt Investment Arbitration Pre Moot Court, SAARCLAW International Moot Court Competition, Asia-Pacific Rounds of the ELSA-WTO Moot Court Competition, and International Infrastructure and Construction Law Arbitration Moot Competition etc. etc. 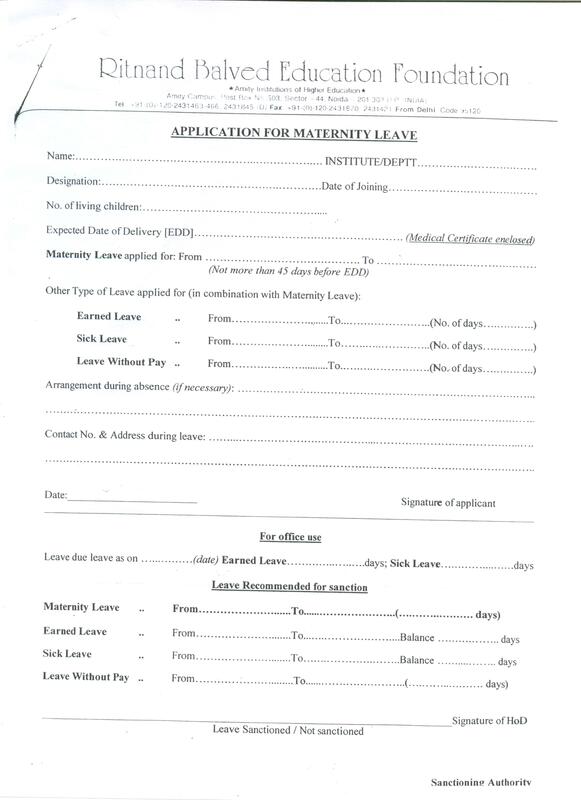 In placement activities also, the performance of the ALS Delhi has been excellent. Almost all the students secure final placement with renowned lawyers, law firms, law offices and NGOs in India and some of them in Singapore, Dubai and UK. A large number of students seek admission for higher education in reputed Law Schools/ Universities abroad. The students at ALS-D are provided opportunities to broaden their horizons academically over and above the prescribed syllabus. They actively participated in activities conducted by various societies to develop their talent and skills in various field. Prominent them are Moot Court Society, ADR Society, Cultural Society, Drama and Debate Society, MUN Society, Student Law Journal Society, Alumni Student Society, etc. In pursuit of excellence, we want to establish our own culture and contribute to Nation building, so that wisdom sustains and truth prevails. ALSD welcomes all the students and wish them success in their academic/professional pursuits.